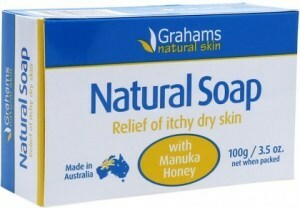 As Featured recently on Today Tonight, Queensland-based Grahams Natural Alternatives make natural skincare and haircare products designed to be eczema- and psoriasis-friendly. Beginning with Calendulis Plus Cream and Grahams Bath Oil, which founder Geoff developed as home remedies for his son Ryan, they now offer a range of balms, lotions, shampoos, body washes, deodorants and more. Geoff Graham's natural range of skincare and body care products had their origins in the eczema Geoff suffered as a small baby. 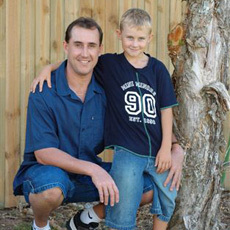 However it wasn’t until his son Ryan also developed the skin disease that he decided to do something about it. Geoff's extensive research led to the development of his own Calendulis Plus cream, a natural and effective cream for treatment of the disease as well as for other skin problems such as psoriasis. Further study by Geoff led to development of other products for the relief of skin diseases. The amazing results achieved by Geoff has been well documented and he has appeared on a number of TV shows with his son to prove their effectiveness. Eczema affects 10% to 15% of the population and is becoming more common. Grahams Natural Alternatives researched and found that eczema and psoriasis were not only an external problem, but also an internal one due to a lack in Essential Fatty Acids. In response to this discovery they have developed a number of products including Calendulis Plus cream, and Mega Oil that provide relief from these conditions.